With lots of discussion these days of gas and oil pipelines, here is pipeline that Alberta might want to think about. 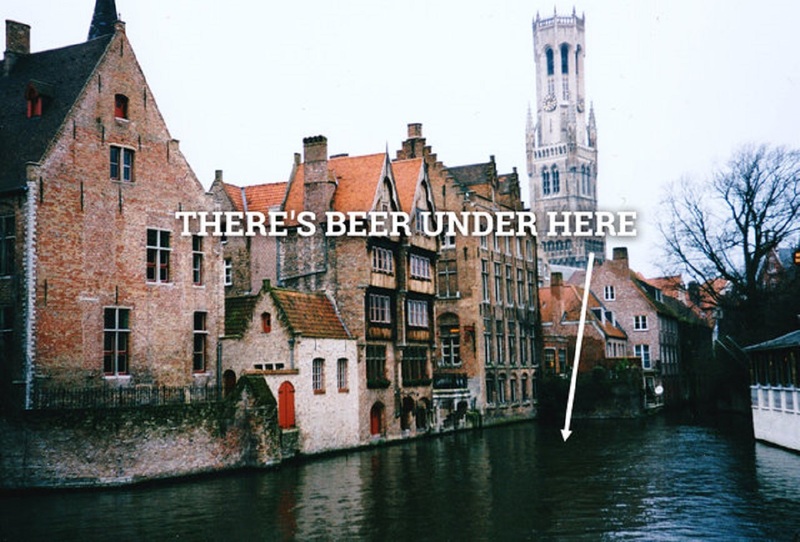 Maybe it will be more profitable in the long run just like it was for Halve Maan (Half Moon) Brewery in Bruges, Belgium? Bruges, Belgium is a stunning, UNESCO-protected, medieval city. This means that the narrow, congested streets are difficult for modern methods of transportation especially trucks. Halve Maan Brewery did not want to give up their historic 500 year old brewery in the centre of the city and rightly so. SO they set about to find a more creative and cheaper way to transport beer from the brewery to the bottling plant on the outskirts of the city. They built an underground pipeline which carries 1000 gallons (12,000 bottles) of beer an hour from the brewery to the bottling plant. Watch this NY Times video to see how pipe dreams became pipe reality!